James Wilson was a Scottish businessman, economist, and Liberal politician who founded The Economist weekly and the Chartered Bank of India, Australia and China, which merged with Standard Bank in 1969 to form Standard Chartered. 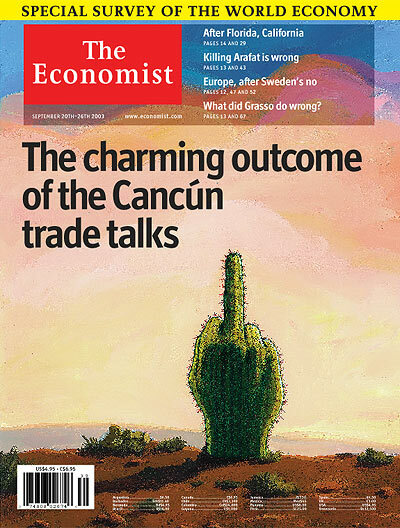 What, besides free trade and free markets, does The Economist believe in? "It is to the Radicals that The Economist still likes to think of itself as belonging. The extreme centre is the paper's historical position." That is as true today as when former Economist editor Geoffrey Crowther said it in 1955. The Economist considers itself the enemy of privilege, pomposity and predictability. It has backed conservatives such as Ronald Reagan and Margaret Thatcher. It has supported the Americans in Vietnam. But it has also endorsed Harold Wilson and Bill Clinton, and espoused a variety of liberal causes: opposing capital punishment from its earliest days, while favouring penal reform and decolonisation, as well as—more recently—gun control and gay marriage. The editors say this is necessary because "collective voice and personality matter more than the identities of individual journalists"  and reflects "a collaborative effort". In most articles, authors refer to themselves as "your correspondent" or "this reviewer". The writers of the titled opinion columns tend to refer to themselves by the title (hence, a sentence in the "Lexington" column might read "Lexington was informed..."). The Economist Newspaper Limited is a wholly owned subsidiary of The Economist Group. The publications of the group include the CFO brand family as well as the annual The World in..., the lifestyle bimonthly 1843 , European Voice , and Roll Call . Sir Evelyn Robert de Rothschild was Chairman of the company from 1972 to 1989. It is extremely rare for any comment by The Economist to appear alongside any published letter. Letters published in the news magazine are typically between 150 and 200 words long (and began with the salutation "Sir" until the editorship of Zanny Minton Beddoes, the first female editor; they now have no salutation). Previous to a change in procedure, all responses to on-line articles were usually published in "The Inbox". Comments can now be made directly under each article. The Economist's primary focus is world events, politics and business, but it also runs regular sections on science and technology as well as books and the arts. Approximately every two weeks, the publication includes an in-depth special report  (previously called surveys) on a given topic. The five main categories are Countries and Regions, Business, Finance and Economics, Science and Technology, and Other. Every three months, it publishes a technology report called Technology Quarterly  or TQ, a special section focusing on recent trends and developments in science and technology. Since July 2007, there has also been a complete audio edition of the news magazine available 9 pm London time on Thursdays. The audio version of The Economist is produced by the production company Talking Issues. The company records the full text of the news magazine in mp3 format, including the extra pages in the UK edition. The weekly 130 MB download is free for subscribers and available for a fee for non-subscribers. Bagehot (Britain) – named for Walter Bagehot /ˈbædʒət/ , 19th-century British constitutional expert and early editor of The Economist. From July 2010  until June 2012  it was written by David Rennie. Since April 2017 it has been written by Adrian Wooldridge. Bello (Latin America) – named for Andrés Bello, a Venezuelan diplomat, poet, legislator and philosopher, who lived and worked in Chile. The column was established in January 2014 and is written by Michael Reid. Charlemagne (Europe) – named for Charlemagne, Emperor of the Frankish Empire. It is written by Jeremy Cliffe  and earlier it was written by David Rennie (2007–2010) and by Anton La Guardia  (2010–2014). Prospero (Books and arts) – named after the character from William Shakespeare's play The Tempest , this column reviews books and focuses on arts-related issues. The news magazine goes to press on Thursdays, between 6 pm and 7 pm GMT, and is available at newsagents in many countries the next day. It is printed at seven sites around the world. Known on their website as "This week's print edition", it is available online, albeit with only the first five viewed articles being free (and available to subscribers only mid-October 2009 – 2010). In a separate incident, the government of Zimbabwe went further and imprisoned The Economist's correspondent there, Andrew Meldrum. The government charged him with violating a statute on "publishing untruth" for writing that a woman was decapitated by supporters of the ruling Zimbabwe African National Union – Patriotic Front party. The decapitation claim was retracted  and allegedly fabricated by the woman's husband. The correspondent was later acquitted, only to receive a deportation order. In 2012, The Economist was accused of hacking into the computer of Justice Mohammed Nizamul Huq of the Bangladesh Supreme Court, leading to his resignation as the chairman of the International Crimes Tribunal. 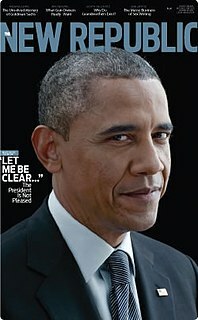 The magazine denied the accusations. 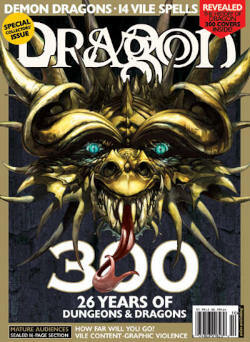 Dungeon was one of the two official magazines targeting consumers of the Dungeons & Dragons role-playing game and associated products; Dragon was the other. The Hong Kong Economic Journal. is a Chinese language daily newspaper published in Hong Kong by the Shun Po Co., Ltd. Available in both Hong Kong and Macau, the newspaper mainly focuses on economic news and other related, usually political issues. The newsjournal is also available to some air passengers – those travelling to the United States, Canada, and Europe. It is authorised by the Hong Kong government to publish announcements related to some law issues. François Gautier is a French political writer and journalist based in India since 1971. He has served as the "South Asian" correspondent for the French-language newspaper Le Figaro. Gautier is the founder of the Foundation for Advancement of Cultural Ties (FACT), an NGO dedicated to Indian history. He is also the founder of the Chhatrapati Shivaji Maharaj Museum of Indian History in Pune which is a private museum that houses exhibits on Indian history. Matthew Yglesias is an American blogger and journalist who writes about economics and politics. Yglesias has written columns and articles for publications such as The American Prospect, The Atlantic, and Slate. Currently, he is an editor and columnist for the news website Vox, which he co-founded in 2014. The American Enterprise (TAE) was a public policy magazine published by the American Enterprise Institute in Washington, D.C. Its editorial stance was politically conservative, generally advocating free-market economics and a neoconservative U.S. foreign policy. American Heritage is a magazine dedicated to covering the history of the United States of America for a mainstream readership. 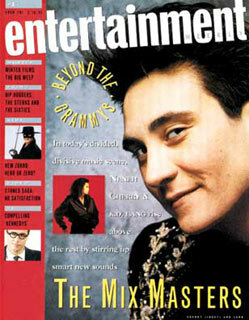 Until 2007, the magazine was published by Forbes. Since that time, Edwin S. Grosvenor has been its publisher. Print publication was suspended early in 2013, but the magazine relaunched in digital format with the Summer 2017 issue after a Kickstarter campaign raised $31,203 from 587 backers. The publisher stated it also intended to relaunch the magazine's sister publication Invention & Technology, which ceased print publication in 2011. Milliyet is a major pro-government Turkish daily newspaper published in Istanbul, Turkey. Alive! is a free monthly publication in the style of a newspaper which has been produced since its first edition in 1996 by Alive Group, an organisation with an address at the Dominican Order St Mary's Priory, Tallaght in Dublin, Republic of Ireland. The current editor is a Catholic priest, Fr Brian McKevitt, who refers to the publication as a 'newszine'. While it claims a circulation of over 300,000 copies, its actual readership is difficult to establish since a substantial portion of its circulation is delivered door-to-door, with most of the remainder being available through Ireland's network of Catholic churches. It is printed by Datascope, an independent publishing company in Enniscorthy and contains an appeal in each issue for donations totalling €160,000 annually to remain in circulation. ↑ "Is The Economist left- or right-wing?". The Economist. 2 September 2013. Retrieved 24 April 2016. ↑ "True Progressivism". The Economist. 13 October 2012. Retrieved 16 October 2016. 1 2 3 "Seriously popular: The Economist now claims to reach 5.3m readers a week in print and online". pressgazette.co.uk. Retrieved 22 June 2015. ↑ Locations [ permanent dead link ]. Economist Group. Retrieved 12 September 2009. ↑ Maps Archived 5 September 2011 at the Wayback Machine . City of Westminster. Retrieved 28 August 2009. ↑ "Agnellis, Rothschilds close in on Economist". POLITICO. 11 August 2015. Retrieved 1 December 2018. ↑ "So what's the secret of 'The Economist'?". The Independent. London. 26 February 2006. Retrieved 27 April 2008. ↑ "Results at a glance | Economist Group". www.economistgroup.com. Retrieved 21 September 2016. ↑ "Don't leave us this way". The Economist. 12 July 2014. Retrieved 26 July 2014. ↑ Oberholzer-Gee, Felix; Bharat, N. Anand; Lizzie, Gomez. "The Economist. Harvard Business School Case 710-441, July 2010" (PDF). American.edu. Archived from the original (PDF) on 27 September 2013. ↑ "Opinion: leaders and letters to the Editor". The Economist. Retrieved 1 May 2011. ↑ McLellan, David (1 December 1973). Karl Marx: His Life and Thought. Springer. ISBN 9781349155149. 1 2 3 "About us". The Economist. 18 November 2010. Retrieved 21 September 2016. ↑ "The Economist Launches New China Section". Asian Media Journal. Archived from the original on 1 February 2012. ↑ "Pearson Unloads $731 Million Stake in the Economist". HuffPost. 12 August 2015. Retrieved 15 August 2015. ↑ Discuz! Team and Comsenz UI Team. "economist150周年（1993） – 经济学人资料库 – ECO中文网 – Powered by Discuz! Archiver" . Retrieved 29 June 2015. ↑ George Monbiot (11 January 2005). "George Monbiot, Punitive – and it works". The Guardian. London. Retrieved 25 May 2012. ↑ Emmot, Bill (8 December 2000). "Time for a referendum on the monarchy". Comment. London. Retrieved 27 December 2006. ↑ How to stop the drug wars, cover article on 7 March 2009. The publication calls legalisation "the least bad solution". ↑ "Who should govern Britain?". The Economist. Retrieved 11 May 2015. ↑ "Report of Rome anti-war demo on Saturday 24th with photos". Independent Media Center . Retrieved 27 December 2006. 1 2 "The Economist at 175". The Economist. 13 September 2018. Retrieved 17 September 2018. ↑ "The Economist – Tone". The Economist. Retrieved 27 December 2006. ↑ "Johnson". The Economist. Archived from the original on 19 December 2006. Retrieved 27 December 2006. ↑ Stuart Kemp. "Economist magazine appoints its first female editor". The Guardian. London. Retrieved 29 June 2015. ↑ "Why The Economist has no bylines". Andreaskluth.org. Retrieved 25 May 2012. ↑ "Why are The Economist's writers anonymous?". The Economist. Retrieved 25 September 2016. ↑ "The Economist – About us". The Economist. 18 November 2010. Retrieved 11 June 2012. ↑ "Economist Editor Micklethwait brings his global perspective to the Twin Cities". MinnPost.com. 29 April 2008. Archived from the original on 5 July 2008. Retrieved 16 September 2008. 1 2 "The Economics of the Colonial Cringe: Pseudonomics and the Sneer on the Face of The Economist". The Washington Post. Retrieved 27 April 2008. ↑ "Media directory". The Economist. Retrieved 31 December 2017. ↑ "The Doubter's Companion: A Dictionary of Aggressive Common Sense". Amazon.com. Retrieved 9 August 2013. ↑ "The Economist launches on Android". The Economist. 2 August 2011. Retrieved 26 February 2018. ↑ Lucinda Southern (17 February 2016). "The Economist Plans to Double Circulation Profits in 5 Years". Digiday . Retrieved 7 July 2016. ↑ "'Economist' Magazine Wins American Readers". NPR. 8 March 2006. Retrieved 27 December 2006. ↑ Moseley, Ray. ""Economist" aspires to influence, and many say it does" (pay archive). The Chicago Tribune. Retrieved 14 May 2008. ↑ "Latest blog posts". The Economist. Retrieved 9 August 2013. ↑ "Special reports". The Economist. Retrieved 9 August 2013. ↑ Stay informed today and every day (1 June 2013). "Technology Quarterly". The Economist. Retrieved 9 August 2013. ↑ Allen, Katie (11 July 2007). "Economist launches audio magazine". The Guardian. London. Retrieved 21 September 2016. ↑ "A Seven Year Ambition". mediabistro.com. Archived from the original on 10 October 2008. ↑ "Charlemagne moves town". The Economist. 30 June 2010. Retrieved 26 March 2014. ↑ "Britain's cheering gloom". The Economist. 30 June 2012. Retrieved 31 August 2012. ↑ "The Economist's new China column: Chaguan". The Economist website. 13 September 2018. Retrieved 12 November 2018. ↑ "The Economist "The value of university: Our first-ever college rankings"". The Economist. Retrieved 29 October 2015. ↑ "Economist Innovation Awards Categories". The Economist Group. Archived from the original on 17 January 2013. Retrieved 25 May 2012. ↑ "Economist Innovation Awards Nomination Process". Economistconferences.co.uk. 4 May 2012. Archived from the original on 7 May 2012. Retrieved 25 May 2012. 1 2 3 4 "What is your vision of the future?". New Straights Times. 22 April 2000. ↑ "Inconvenient truths in Singapore". Asia Times . Retrieved 31 January 2007. ↑ "Iran bans The Economist over map". The Jerusalem Post . Retrieved 31 January 2007. ↑ "Guardian and RFI correspondent risks two years in jail". Reporters Without Borders . Archived from the original on 4 April 2009. Retrieved 2 April 2014. ↑ "London Fog" . Retrieved 2 September 2014. 1 2 "Not so groovy". The New Republic. London. 14 June 1999. Retrieved 27 April 2008. ↑ Finkel, Rebecca (July 1999). "Nasty barbs fly between New Republic and Economist". Media Life. Archived from the original on 7 November 2015. Retrieved 27 April 2008. ↑ Stern, Stefan (21 August 2005). "Economist thrives on female intuition". The Guardian . London. Retrieved 2 January 2013. 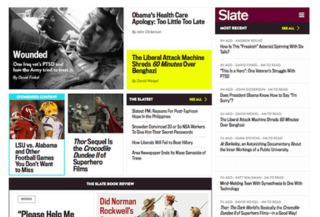 ↑ "Jon Meacham Wants Newsweek to Be More Like Hayes' Esquire". The New York Observer. Archived from the original on 22 May 2008. Retrieved 27 April 2008. ↑ "Discrepancy in Dhaka". The Economist. 8 December 2012. ↑ Hossain, Farid (9 December 2012). "Economist magazine faces contempt in Bangladesh". HuffPost . Associated Press. ↑ "Bangladeshi war crimes tribunal issues notice to The Economist". The Indian Express . 6 December 2012. ↑ "Tribunal chief's net talks, mail hacked". Daily Star . 7 December 2012. ↑ "The trial of the birth of a nation". The Economist. 15 December 2012. ↑ "Blood cotton". The Economist. Retrieved 6 September 2014. ↑ Edward Baptist (7 September 2014). What the Economist Doesn't Get About Slavery – and My Book. Politico. Retrieved 20 June 2015. Wikimedia Commons has media related to The Economist .